Take a stroll around our historic maritime towns and traditional marshland villages, full of rich heritage, quaint shops and hidden gems. Delve into thousand of years of history in our museums and heritage centres. 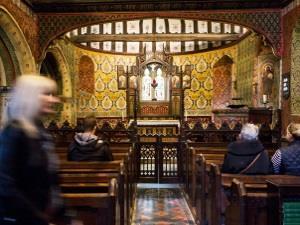 Explore the charm and character of our two towns, Maldon and Burnham-on-Crouch. 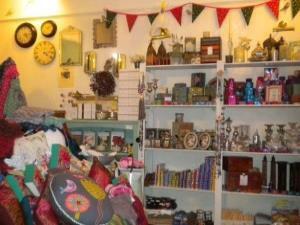 Their high streets are full of independent and eclectic shops, enough to fill many days of retail therapy. Enjoy food and drink at our restaurants and cafés, pubs and bars or take a trip to one of our award-winning vineyards or breweries. From pre-historic cropmarks and Iron Age hillforts, to pillboxes and military defences of the Second World War, the Maldon District has a rich history which spans thousands of years. Experience our unique heritage by visiting some of our listed buildings, Scheduled Monuments, historic waterfronts, and conservation areas. 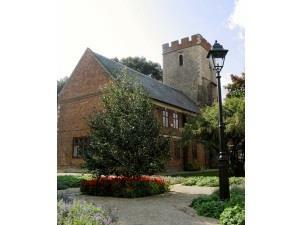 Learn more about the Maldon District at our excellent museums and heritage centres. 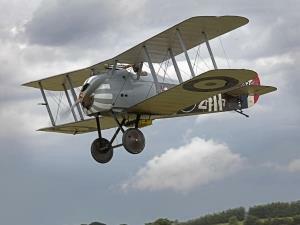 Discover all kinds of history, from military to social and domestic, modern history to Anglo-Saxon and medieval. You can also attend one of the many talks or courses that are held regularly across the Maldon District if you would like to explore a topic in more depth. 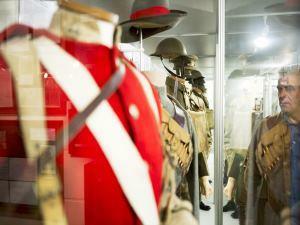 An award winning collection of British military artefacts from the English Civil War to today. Collections focus on the Special Forces, espionage, uniforms, medals, swords, tanks and the Donnington Firearms Collection of over 700 guns. 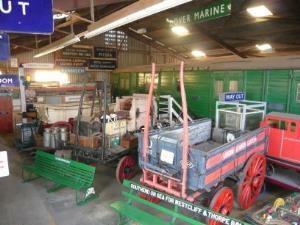 Extensive working railway museum including locomotives, carriages, wagons, historic buildings, memorabilia and a major collection of signalling equipment. Much of the collection is under cover. Train rides are available every open day. 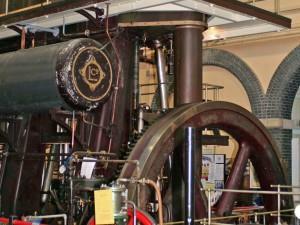 Housed in a former water pumping station, the museum has a fascinating collection of power related exhibits, a tea room and picnic area, a miniature railway all set in attractive riverside grounds. 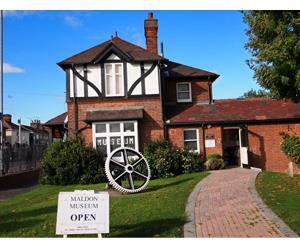 Social history museum of Maldon and District situated on the edge of the award winning Promenade Park. No visit to Maldon is complete without visiting the Hythe Quay, a historic working waterfront that is home to the largest collection of active Thames Sailing Barges. From the Hythe Quay, you can take a trip on one of these barges with Topsail Charters and the Thames Sailing Barge Trust. You can also take a cruise along the river on the Viking Saga. 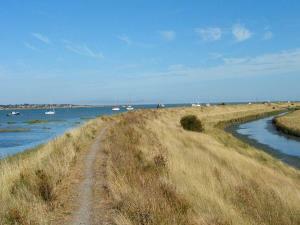 Walking from the Hythe Quay, continue through Promenade Park along the sea wall to reach the causeway of Northey Island. 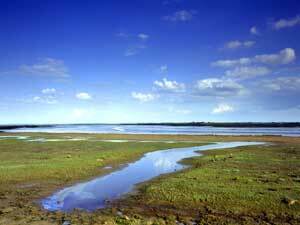 The causeway was the site of the Battle of Maldon 991, and is the oldest recorded battlefield site in England. The Chelmer & Blackwater Navigation is the shallowest navigation in the country and was completed in 1797. Commercial barge traffic ceased in 1972, and the canal is now used for leisure, including fishing, pleasure boats, canoeing, paddle boarding, and narrowboats. You can experience an hour cruise on the Chelmer & Blackwater Navigation aboard 'the Elver' with Basin Pleasure Boats. Gently winding along the canal at a leisurely four knots gives you ample time to take in the scenery and wildlife. You can also hire rowing boats from Basin Pleasure Boats as well. Burnham-on-Crouch's quay, with its historic pubs and red-roofed houses, also has cafés, houseboats, and the Burnham-on-Crouch & District Museum. Walking along the quay, you will pass its four yacht and sailing clubs, as well as the RNLI lifeboat station and Riverside Park. From the quay, you can take a short trip over on the Burnham Ferry to Essex Marina, where you can then walk to RSPB's Wallasea Island, which is the largest project of its type in Europe. You can also go on seal & wildlife trips from the quay with Charter Discovery. 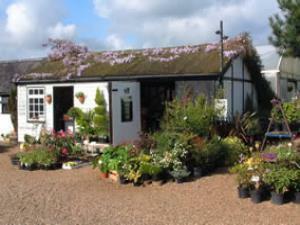 The Maldon District is home to traditional marshland villages and historic maritime towns. 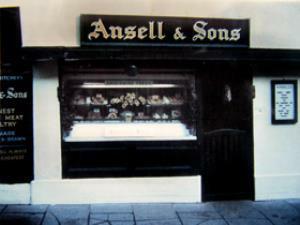 Our diverse heritage extends thousands of years and numerous periods of English history. Discover ancient forests, Anglo-Saxon fishing weirs, medieval churches, 15th & 16th century houses, Victorian engines, disused railway lines and 20th century industry. 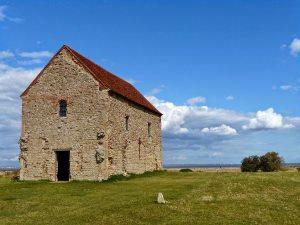 This ancient Saxon chapel is the oldest church in England built by St Cedd in 654ad, it is one of the most restful and spiritual buildings in the country, a place to bring you peace and tranquility. Founded in 1704 this historic library still houses Thomas Plume’s books and his small collection of paintings. Brent has been a much loved local landmark for over 40 years. 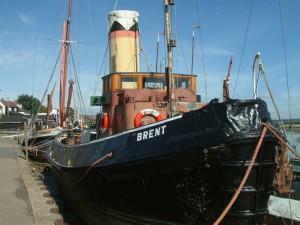 It is the last surviving steam tug of the Port of London Authority’s fleet. Full restoration is planned for this unique vessel. 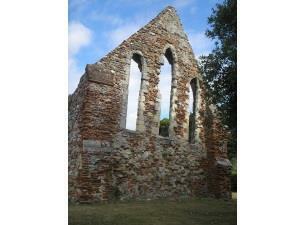 Remains of an ancient Leper Hospital said to have been founded in 1164 by Henry II. 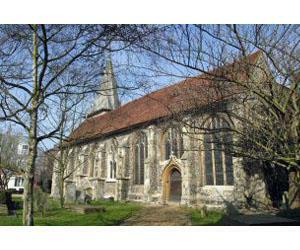 Affectionately known as St Mary's, there has been a church on this site since 1155, possibly even earlier, and as such the fabric of the building reflects a long and eventful history. One of Essex Wildlife Trust's best reserves. A large (600 acres) tract of ancient grazing marsh that is managed as a traditional coastal farm using the Trust's own rare breed livestock to encourage a superb variety of wildlife. Our doors are open to everybody of all faiths – all are welcome in this house. 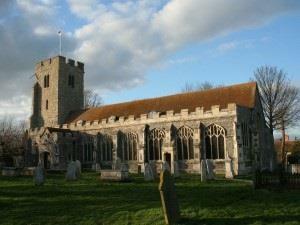 St. Nicholas in Little Braxted is one of the smallest churches in Essex and was built in the early 12th century. It has kept its original Norman apsidal east end, and only one Norman window remains on the north side. This active rural parish church, situated on a hilltop overlooking the Blackwater Estuary provides exhibitions and community activities. Light refreshments available. 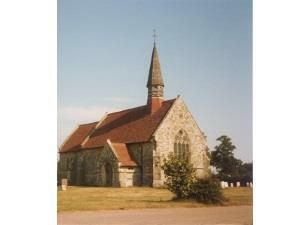 The Church of St Thomas Bradwell-on-Sea dates back to the 14th Century. The nave was rebuilt in 1706 and the tower in 1743. 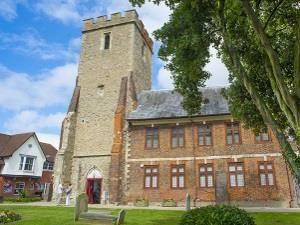 We are a happy friendly church offering a warm welcome to all. Maldon is famous for the Battle of Maldon which took place over a thousand years ago in the year 991. The battle was immortalised by an Old English poem that describes its events. Fought between the Saxons and Vikings, the battle was ultimately a Viking victory, and it is generally agreed that it was a hard fought battle, with considerable losses on both sides. Learn more about the Battle of Maldon. The church of St. Mary in Mundon is cared for by the Friends of Friendless Churches and it is now conserved as a Grade 1 listed medieval church. This 15th Century former manorial home houses a unique brick spiral staircase, a Georgian court room, a former prison and a Victorian Council Chamber. A traditionally managed ancient woodland offering guided walks suitable for all ages. Featuring flora/fauna, charcoal burning, environmental/conservation topics. Creeksea Place is a 16th century fairytale Tudor Mansion set in beautiful gardens. The house with its captivating façade and tranquil surroundings is steeped in history. 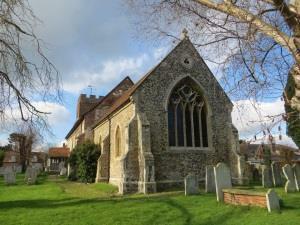 Take a guided tour of St. Mary's Church in Mundon and learn the extensive history of this Grade I listed medieval church. Behind St. Mary's Church, you can walk along a public path to view the ancient remains of an oak forest, known as the Mundon Oaks. The Moot Hall is a building with a fascinating history and has been used as a manor house, court room, council chamber, and a prison. 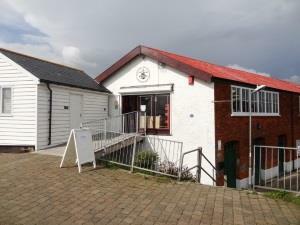 You can explore the Moot Hall on a tour, and its rooftop offers panoramic views of Maldon & beyond. Hazeleigh Wood is an ancient woodland which shows benefits of traditional management techniques, e.g. coppicing, charcoal, burning etc. Group tours are available by prior arrangement. Creeksea Place is a 16th century Tudor manor with extensive grounds with lakes, an orchard and walled garden. 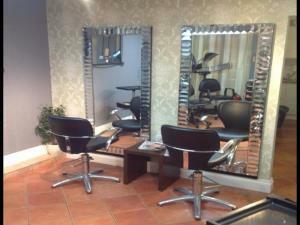 You can visit by prior arrangement, or attend one of their preview evenings, open days or High Tea afternoons. 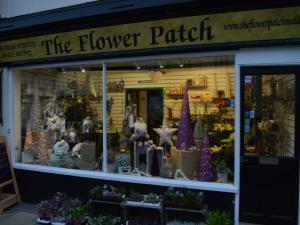 The Maldon District is home to a great variety of independent shops that have their own appeal and character. In the towns of Maldon and Burnham-on-Crouch, there is an eclectic mix of specialist stores and independent retailers that sell everything from local delicacies and souvenirs, to antiques, clothes and hardware. 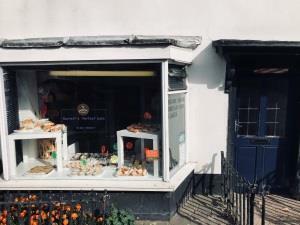 Among these local shops, you will also find popular chain stores and banks, but these certainly do not overshadow the independent flavour of the Maldon District. Experience our gastro menu by visiting our independent restaurants, cafés and tea rooms. 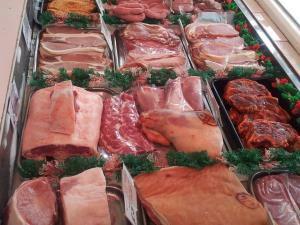 You can also visit local markets in the district for excellent fresh produce, and a variety of other items. The Burnham-on-Crouch Farmer's market is certainly a highlight of the month, where a range of producers bring their fresh produce directly to the public. 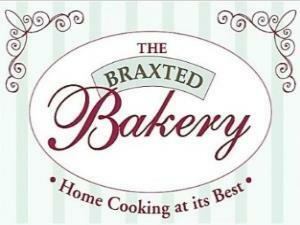 Check out our local page for more information about market days. The Maldon District is proud to host world class food producers, such as Maldon Sea Salt, Wilkin & Sons Tiptree Jam and Maldon Oysters. 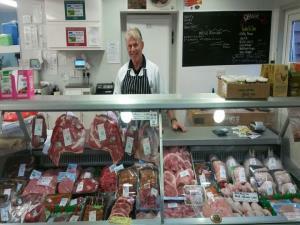 Many of our local producers supply the independent restaurants, cafés and tea rooms in our area. Whether you are just having a coffee or treating yourself to afternoon tea, there are plenty of options for you to choose from. Many of the venues are family run, and are situated in stunning locations with scenic views of the estuaries and beyond. From Constable Country to the Crouch Valley, the Grape and Grain Trail will take you to award-winning vineyards, breweries and distilleries. Enjoy a tour or a talk at one of our venues, and learn about how their products are made. You can also give them a try yourself during a tasting session. 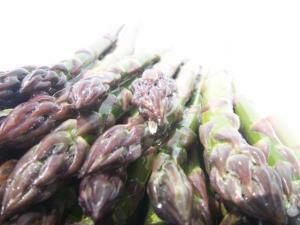 Our local producers each offer something unique in taste and experience, and their numbers are growing year on year, so there’s always something new to try.